1. This floating bunk bed from a home in Water Mill, New York, designed by Bates Masi Architects. 2. These bunk beds from a country home in Quebec, Canada, designed by YH2. 3. This bunk bed from an apartment in Menuires, France, designed by h2o Architects. 4. This bunk bed from a home in Cha-Am Beach, Thailand, designed by Onion Co. Ltd.
5. 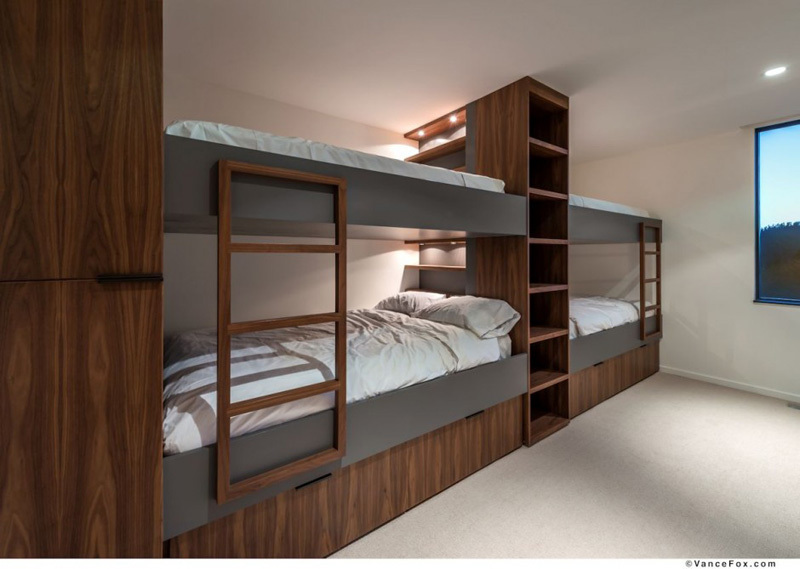 These bunk beds from a home in Norden, California, designed by John Maniscalco Architecture. 6. 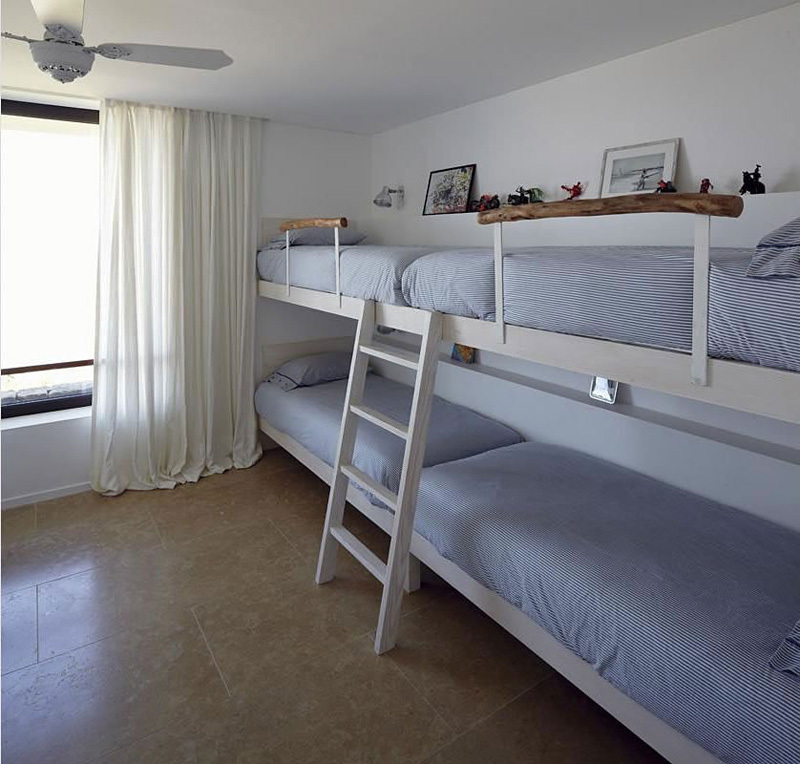 These bunk beds from a villa in José Ignacio, Uruguay, designed by RDR Arquitectos. 7. These bunk beds from a home in Truckee, California, designed by Blaze Makoid Architecture. 8. 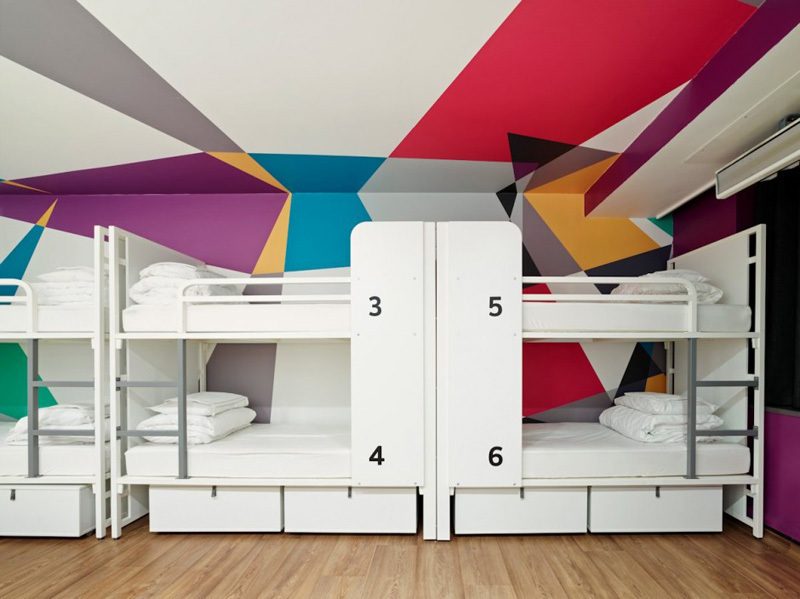 These bunk beds from a hotel in London, designed by The DesignAgency together with ORBIT and Acrylicize. 9. This bunk bed from a home in Denmark, designed by Jarmund/Vigsnæs Arkitekter. 10. These bunk beds from the POD Hotel Singapore, designed by Formwerkz Architects. 11. 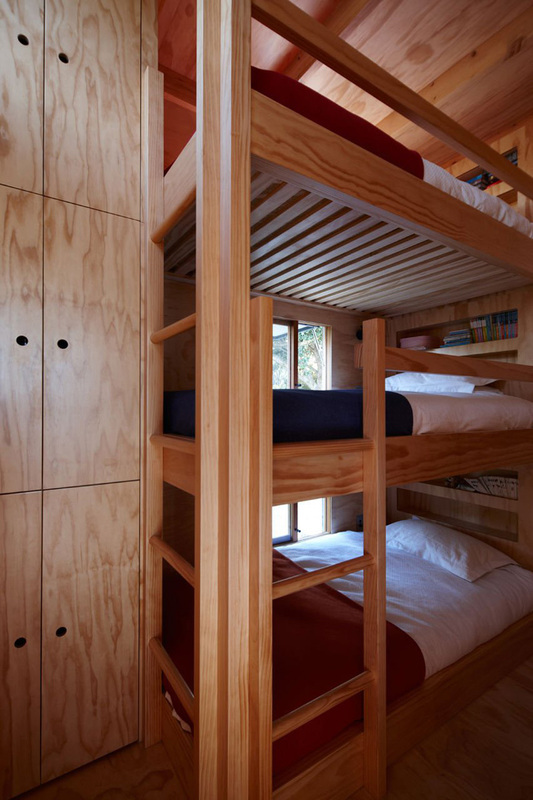 These bunk beds from a home near Lake Tahoe, California, designed by Swaback Partners. 12. 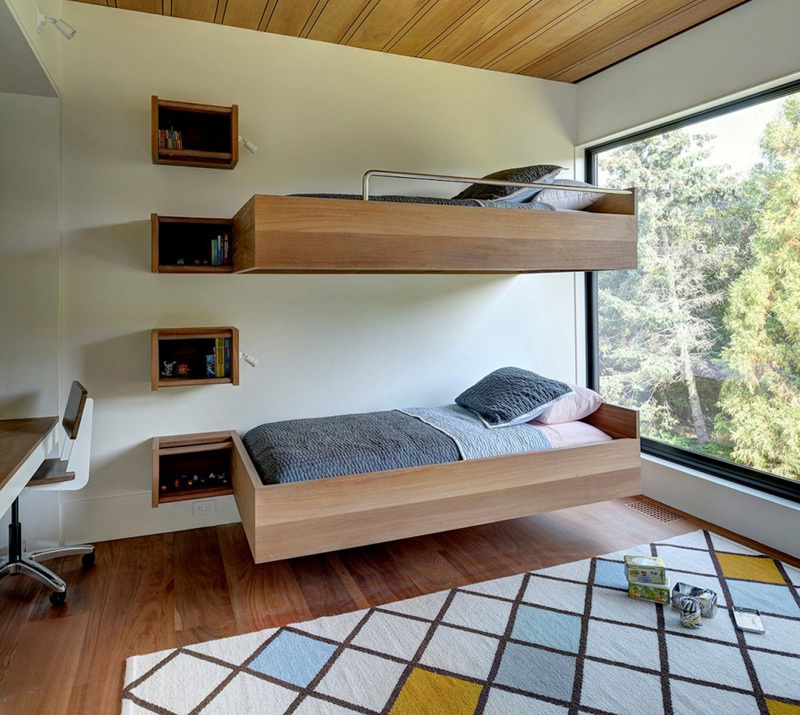 This bunk bed from a home in Chicago,Illinois, designed by Space Architects and Buckingham Interiors. 13. 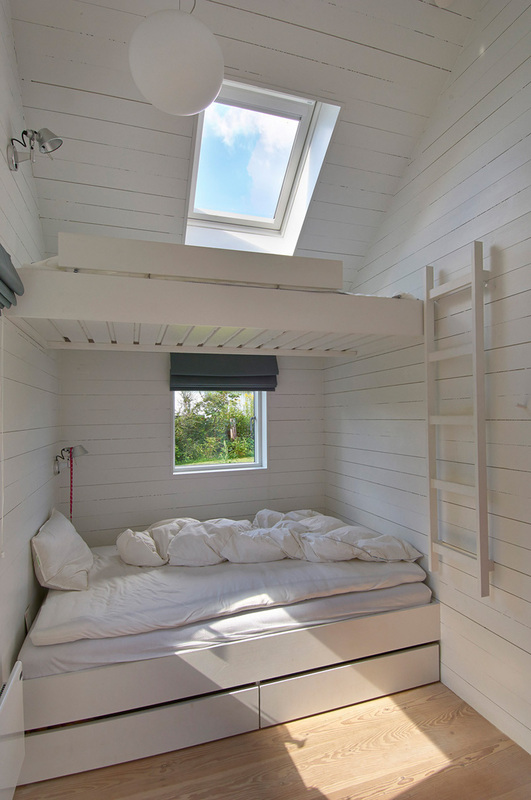 This bunk bed from a home in Whangapoua, New Zealand, designed by Crosson Clarke Carnachan.